Monica Daley earned an HBSc in Biology with a Chemistry minor at the University of Utah, where she was inspired to pursue an academic career through her research on human locomotor-ventilatory integration with Dennis Bramble and David Carrier. Daley then spent a year as a research technician at the University of Utah, investigating motor control of singing in zebra finches in the lab of Franz Goller. These experiences initiated a long-standing fascination with the interplay of mechanics and neural control. Daley went on to Harvard University, where she earned her MA and PhD in Organismic and Evolutionary Biology. Her research on muscle-tendon dynamics and biomechanics of avian bipedal locomotion was supported by a prestigious Predoctoral Fellowship award from the Howard Hughes Medical Institute and supervised by Andrew Biewener at the Concord Field Station of Harvard University (CFS Website). 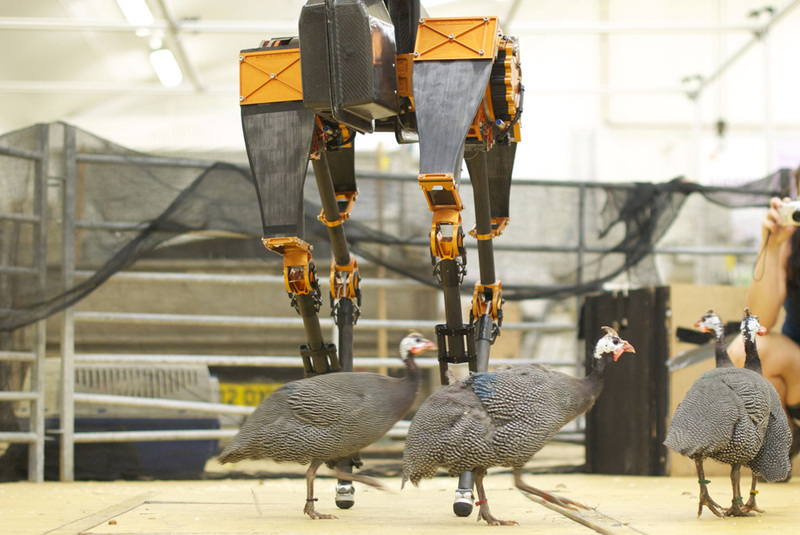 After completing her PhD, Daley was awarded a Research Fellowship by the U.S. National Science Foundation to develop models of the dynamics and control of bipedal locomotion, working with Dan Ferris in the Human Neuromechanics Lab at University of Michigan, in collaboration with Auke Ijspeert in the Biologically Inspired Robotics Group at the Swiss Federal Institute of Technology in Lausanne. Daley is a faculty member of the Structure and Motion Lab, where she leads research in Comparative Neuromechanics— a field that seeks to understand the interplay of morphology, mechanics and sensorimotor control that influences how animals move through their environment.